You are here: Home › ALL BLOGS › Chief Martin Agbaso formally joins APC!! After months of speculation, IMO STATE BLOG can authoritatively confirm that Chief Martin Agbaso has formally joined the All Progressives Congress. This development was confirmed by APC Governorship candidate , Senator Hope Uzodinma while addressing the crowd at the Presidential rally in Owerri on Tuesday. 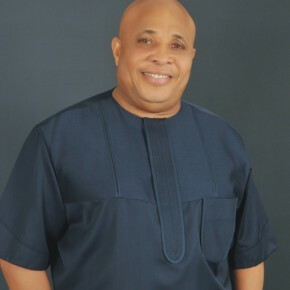 Chief Martin Agbaso is widely acknowledged as the winner of the governorship election in Imo State. He was flag bearer of the All Progressives Grand Alliance( APGA) Party. It was an election which was adjudged as free and fair by the electorate. A series of political events truncated the victory denying Agbaso his mandate.